Chicago Beat New York as the 'Rat Capital' of the U.S.
Chicago is famous for a lot of things -- deep-dish pizza, wind, hostility toward ketchup that rivals many blood feuds -- but it's just claimed the most precious jewel of all for its carb-heavy crown: It was just named the rat capital of the United States. Congrats, everyone! 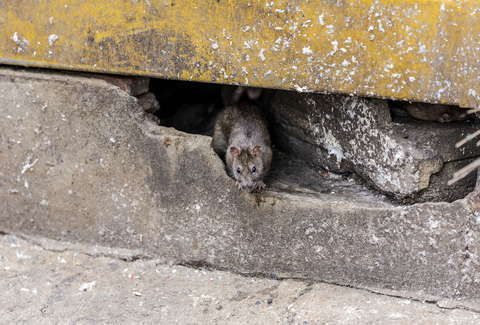 This news comes from apartment-search service RentHop, which studied four major cities and identified the Windy City as the one with the worst rat problem of all. There were 50,963 rat complaints last year, with a distressing 1,876.09 complaints per 100,000 residents. That's a 55.1% increase from 2014. The neighborhoods in Chicago with the most complains were Logan Square, Englewood, and West Ridge. The ones with the least were Printers Row, Riverdale, and Oakland. At this point though, it might better to stop thinking in neighborhoods and instead think in cities. New York came in second place with 19,152 complaints; Washington, D.C. in third with 5,036; and finally Boston fourth with a comforting 2,488. So if you're done making new small furry friends all the time, maybe it's time to give Boston a chance?